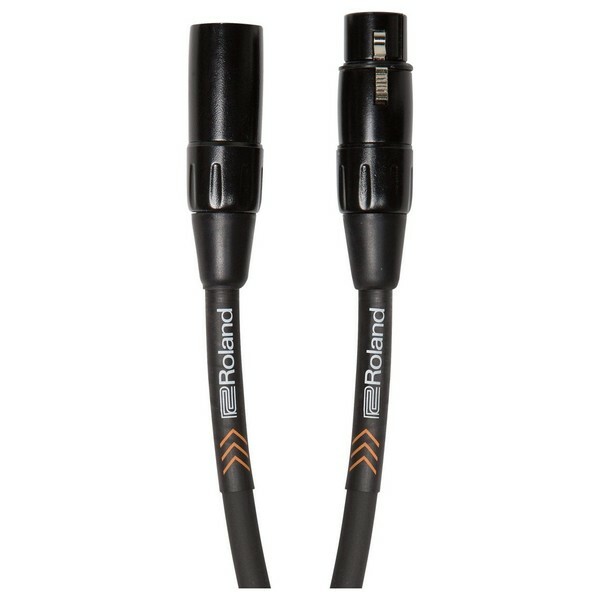 The Roland Black Series Microphone Cable, 25ft/7.5m is a premium-grade mic cable designed for professional and home recording applications. The RMC-B15 Black Series Microphone Cable features a specialised multi-strand, oxygen-free copper core. This captures the true tonality and sound of both instruments and vocals. The result is rich, full-bodied sound, capturing every nuance of your source audio. The cable utilises high-density spiral shielding to combat unwanted noise and interference, resulting in a clean audio signal. 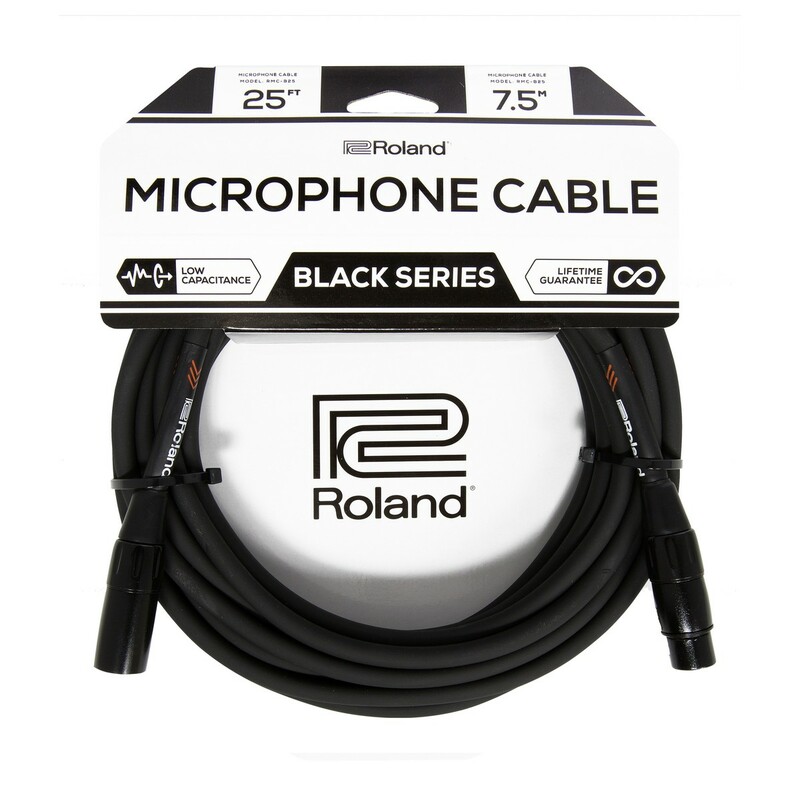 The low-capacitance design and rugged construction makes the Black Series Microphone cable ideal for stage and studio.